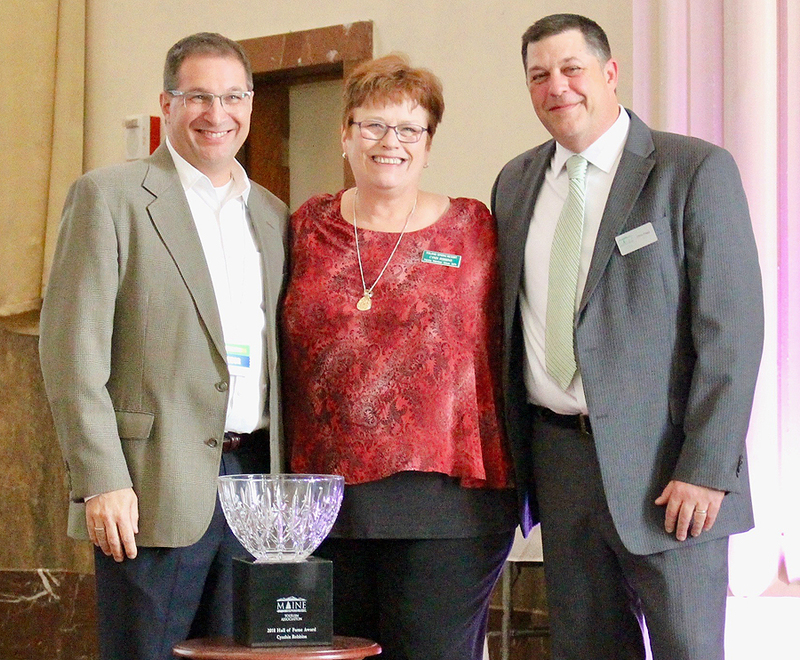 HALLOWELL — The Maine Tourism Association announces this year’s inductee into the Association’s Hall of Fame is Cyndi Robbins of Poland Spring Resort in Poland. MTA’s Hall of Fame was created to recognize outstanding individuals who through their leadership, dedication and professionalism have made significant and sustained contributions to the tourism industry in Maine. Every year one member of the association is chosen to be inducted at the MTA’s annual meeting. This year’s meeting took place Friday, May 11, at the Agora Grand in Lewiston. Cyndi (Sievert) Robbins started her hospitality career at 16 working as a waitress at Poland Spring. She later served as a short-order cook, food and beverage manager and head chef, and supervised housekeeping and maintenance. In 1982, she and her husband, Mel Robbins, bought the resort and began the restoration of all 32 buildings at Poland Spring, as well as the historic golf course. During the past 10 years, she has added Cyndi’s Dockside Restaurant, a boat rental facility, a driving range, disc golf, mini golf and an ice cream shop. After the opening of the nearby Oxford Casino, the Lodge at Poland Spring was returned to a year-round hotel. The Maine Tourism Association represents more than 1,500 members across the state promoting the tourism industry. The Maine Tourism Association recently inducted Cyndi Robbins of Poland Spring Resort to the MTA Hall of Fame. MTA treasurer Scott Riccio of NorthEast Charter & Tour Co., left, and MTA CEO Chris Fogg, right, present the award to Robbins.